Seems like things are warming up here in the Trading section, so at the suggestion of the Mafia we've decided to institute a sticky "Trading Testimony" thread. 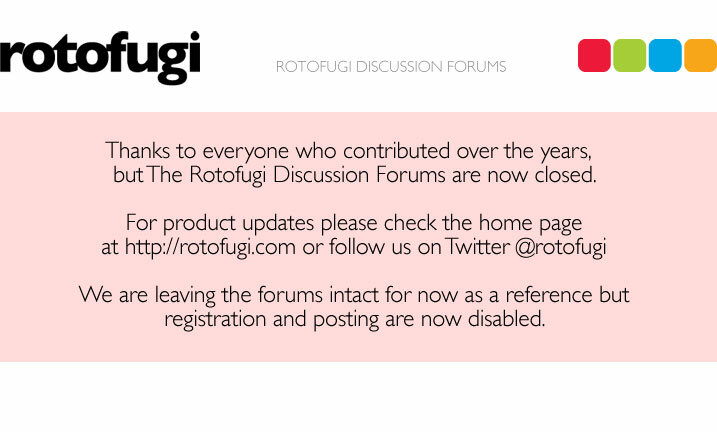 SO, have you traded with anyone on the Rotofugi forums? Let us know how it went! PostScript: We're liking LoneCubs suggestion to just post your list of good trades once and then edit it so this thread doesn't get too unwieldly. Thanks Lonecub! Last edited by rotokirby on Wed Oct 19, 2005 2:58 pm, edited 1 time in total. Last edited by LoneCub on Sun Oct 25, 2009 3:03 pm, edited 25 times in total. I made a trade with LinearAccelerator. Went very smoothly. Thanks to Roto for letting us use their store as the dropof/pickup place. I had smoooth trades with both JACKSON and LONECUB. Ya'll can trade with confidence! I second the thanks to ROTOFUGI for being so kind! Thanks for the Tado LinearAccelerator! Admin's NOTE: I know NB is joking. PH is a standup girl, she's in the Mafia afterall. i traded with lonecub as well! that lonecub is a good trader. I was embarrassed...and I mean WAS. 1 point for veggiesomething that dunny has joined the ranks of dalek toys! nicebeaver - A+ .. successful labbit trade and i thank him a thousand times over for this. you're the best, dave! bubbanumber3 - A+ .. thanks to him i now own a gold baseman l.a. dunny. thank you, greg! Last edited by pinkish_hue on Wed Feb 15, 2006 7:51 pm, edited 1 time in total. It's about time you posted something! Traded some Brookman with meary a pleasure! !